After a long wait, finally I was able to try out NPC Nature Park's Zip Line. 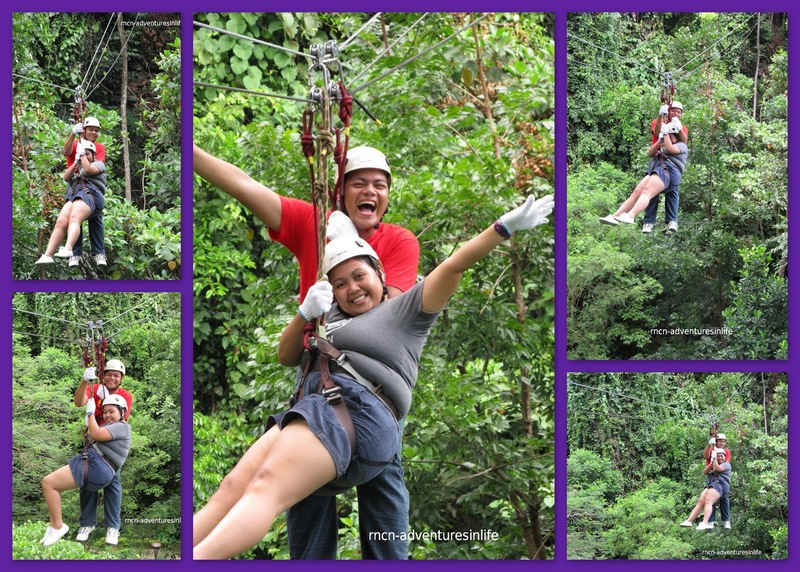 Zip lining has suddenly became a popular adventure activity now a days. I have been zip lining before so this isn't my very first time, but my first time in NPC Nature Park. I was lucky enough that i'm with a bunch of photographers that my every move was documented. There were 5 pit stops or jump off point as I previously mentioned from a previous post. Before ziplinning you have to Submit the receipt from the Registration area to the Zipline Registration in-charge, sign a waiver and your weight will be measured for security and safety reasons. Before you can zip line you need to be wearing a closed shoes, if you're not wearing one they have shoes for rent at Php 50.00 each pair. However, if you are already wearing one you'll only pay Php 10.00 for the rental of the gloves. Before going up you will be full geared for safety. You will be wearing a harness. A crew will definitely help you out in wearing one to make sure that you will be safe. You need to put on your Head gear as well and gloves. 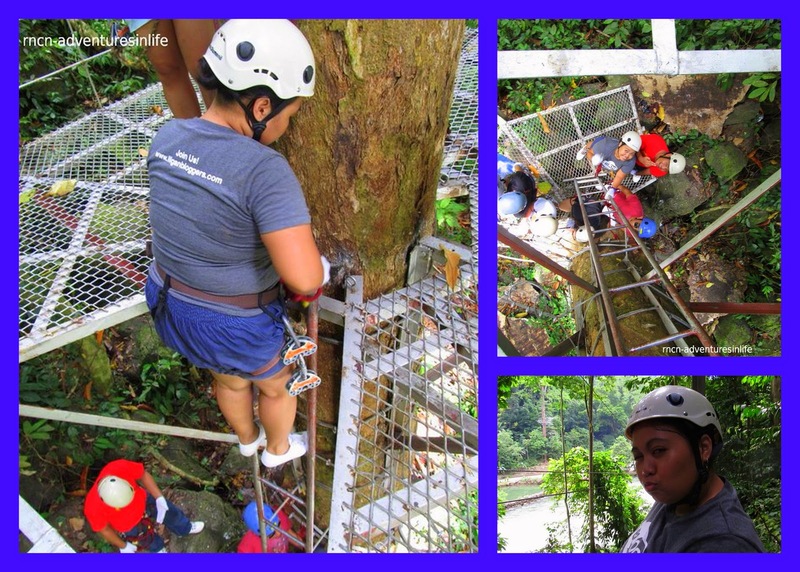 When you're all set, the crew will climb with you to the first pit stop. The trek up to the 1st pit stop is quiet challenging for me. 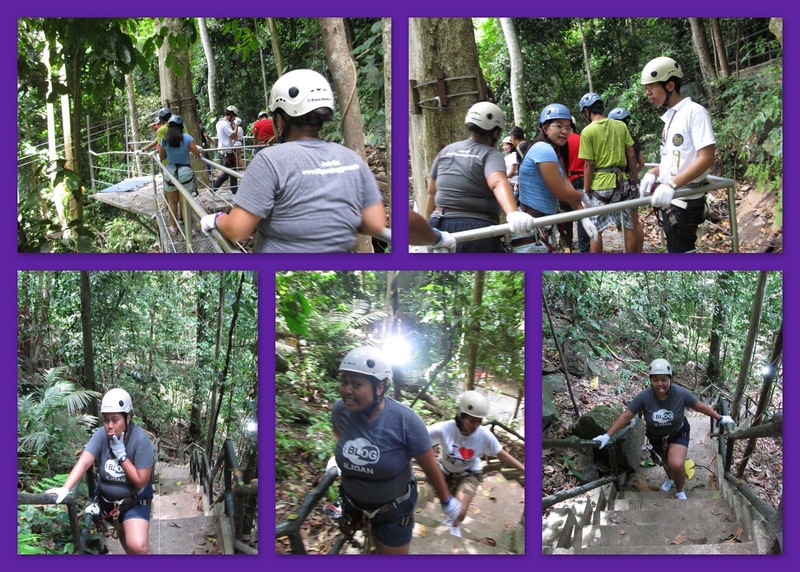 Being not physically fit and not physically prepared for the trek, I had to catch my breath and stop few times going up the stairs. But you don't need to worry, it's a cemented stairs made easy for the visitors. At the top you will see a resting area where you can rest and catch your breath before heading to the 1st jump off point. You wouldn't really notice how high it is at that point because it's quiet covered with green vegetation. 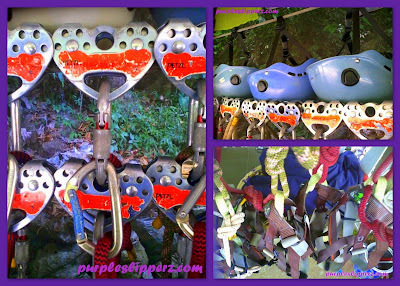 The crew will secure your harness and your safety belt to the line and then you're ready to zip. When you jump off and reach the middle part of the line, if you're brave enough to look down you will actually see the road and how small people are up there, telling you, you are quiet far from the ground. From the 1st jump off you will be transported by the way in two's or three's. When I reached the 2nd jump off point, the receiver crew assisted us in removing me from the line (lols) and secure our safety belts on the rails. At this point, I am standing in a tree that actual moves when someone zips from the other end. Hmmm I don't know how to really explain it though hehehe... The 2nd jump was quiet easy although I'm quiet terrified with how far the distance is from the road. I wanted to try a dare devil stunt but I just couldn't move, my fear is eating me. 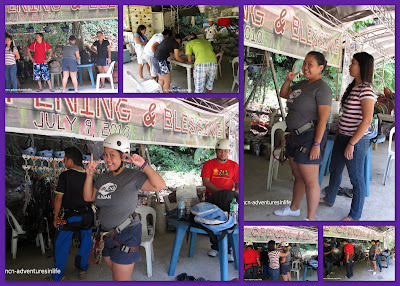 And so in the 3rd jump I tried removing my hands from rope and extend it as if i'm flying but then fear captured me and so I end up with one hand extended up in the air and the other hand holding the rope lols. The 3rd and 4th jump off point crosses the river by the way. On the 4th jump off you need to go down from the receiving point. This is quiet a stunt for me. I don't know how to explain it in words so here's a picture for easy understanding. There are things that I can't really explain but I guess the pictures are quiet enough to explain how fun it is. It is a must try! I went on this Zipline last year, my first Zip ever. Like yourself, I may not be in the greatest shape and stopped a couple of times going up the stairway to the start platform. When I saw the first pair leave the starting platform and being paused about half way on what I felt was the highest part of the zip I could not help thinking what did I get myself into this time ! A little encouragement from Iliganon friends that were with me sure was a big help. Upon my departure from the third platform to cross the Agus River I really began to enjoy it. 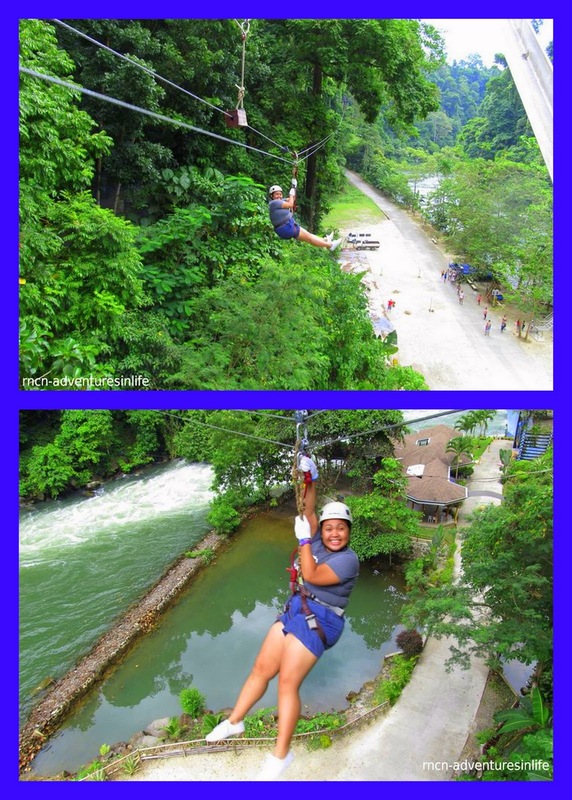 Well worth trying it, this is one Iligan Adventure I'll never forget ! Thanks for a good read and some great pics to go with it. Amazing it is! Thank you for the comment Bob New York. This type of comments fuel us bloggers to blog some more and improve the quality of our posts to make it worth reading.